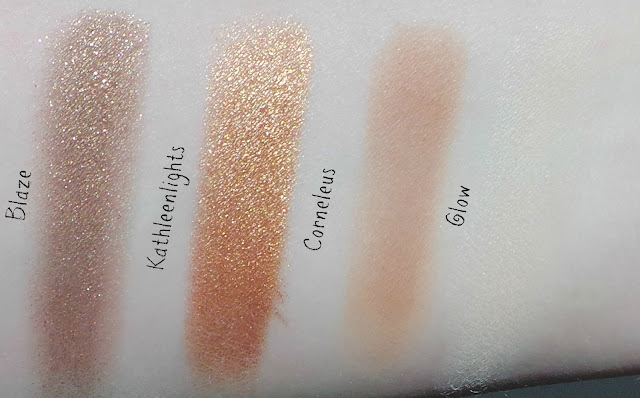 Colour Pop-Part 2-Kathleen Lights quad and more! 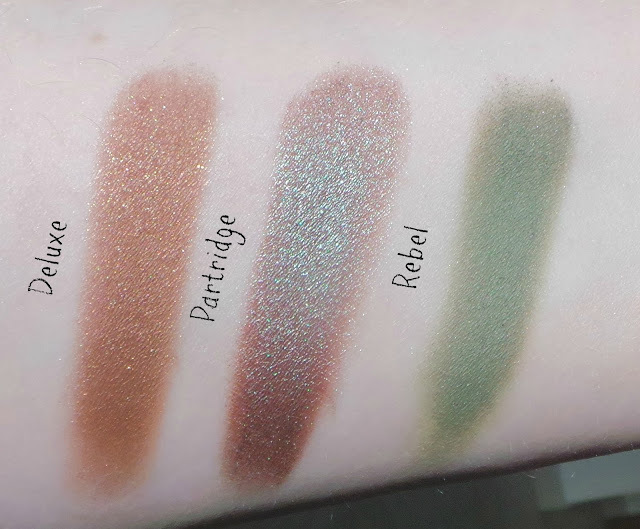 My first Colour Pop eyeshadow post went down so well and I had lots of requests for more swatches so here is a quick post showing the rest of the shadows I purchased online from Colour Pop. Sadly, they still don't ship to the UK or Dubai so you need to find an American friend/relative or sign up for a mail forwarding service (what I do). Above you can see the 'Where the light is' foursome, created by Kathleen Lights-the perfect quad for a bronzy golden smokey eye. 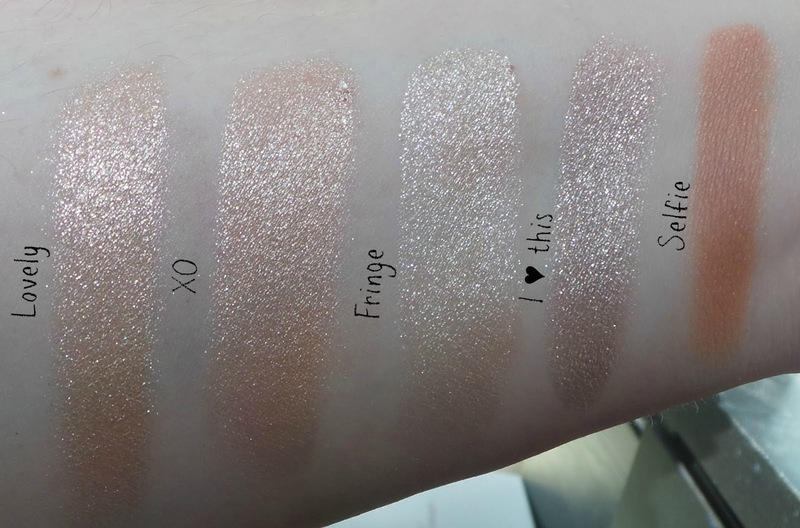 Everyone seems to be raving over the 'kathleenlights' shade but don't underestimate the beauty of Blaze either. There are two matte and two glitter shades but again, the same quality and consistency are evident across all four shades. I love. The rest of this post contains the singles I picked up. Enjoy the swatches! Partridge and I ♥ This are clear favourites for me. 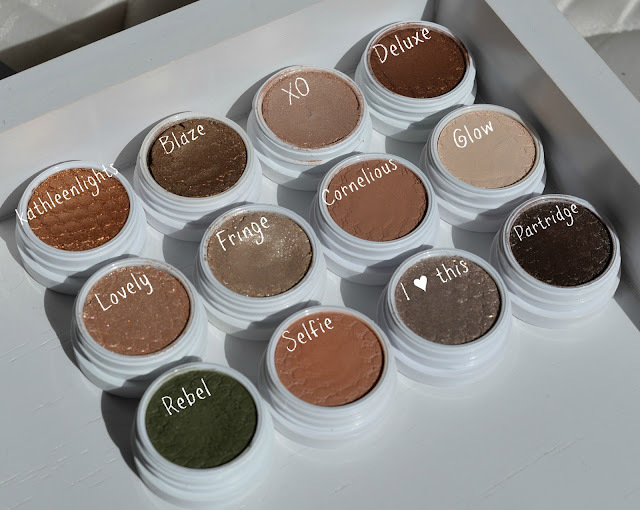 I love the texture and finish of all these shadows and the lasting power is exceptional. Still the best $5 eyeshadow you can buy in my opinion and I am quite obsessed!